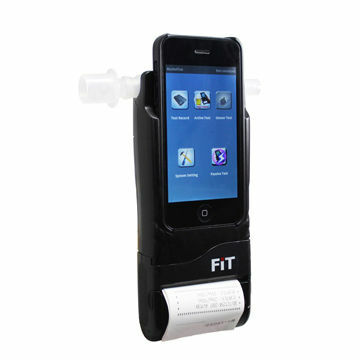 ATP-31 Law Enforcement Alcohol Tester Built-in Printer With Bluetooth communication with smartphone. Integrate with smart Phone 3G/4G communication / Android protocol. Color display with touch panel. (with smart Phone display). PC down via USB port. Easy to replace a new mouthpiece by pressing a key, patented convenient and hygiene. 0~0.4% BAC or 0~4.0‰BAC or 0~2.0mg/l. Min. 50,000 memories with full information:- Drive name, vehicle no., inspector name, test result with time stamp, date and time, location, instrument no., Calibration date, test no. etc..
Can export the files as Microsoft Excel documents directly.